Peaceful Reader: A little late-blooming romance! I just finished Julie and Romeo by Jeanne Ray (2000) and it was charming! I picked it randomly off our public library shelf, I was looking for something light to read and this was perfect! Julie is in her sixties and alone, attending a small business seminar when she runs into her family's arch-enemy, Romeo Cacciamani and after striking up a small conversation-they go for coffee. She doesn't know why she chooses to do this after years of hearing the horrors of his family but she does. An interesting chain of events occurs as Julie and Romeo fall in love, yep, all from a cup of coffee, that's just how it happens!! I love Shakespeare's Romeo and Juliet and this is a sweet adaptation~I really enjoyed the characters and the story line was very believable. 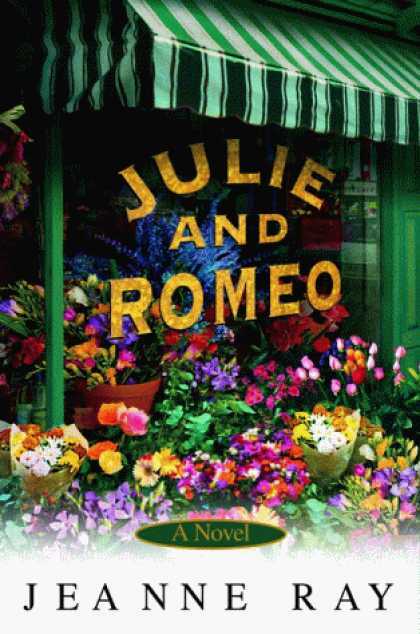 I loved the couple's dates at CVS and later, Julie's ex-husband, Mort throwing a pot at Romeo in the flower shop!! I will read more from this author and I found out from my friend, Tina that Ray's daughter is Ann Patchett, of Bel Canto fame! Find more information and a list of Jeanne Ray's books here.